Taiwan is very well known for its big and wide companies of electronics, semiconductors and other technology companies. Although other industry sectors including foods, textile are also in the list. 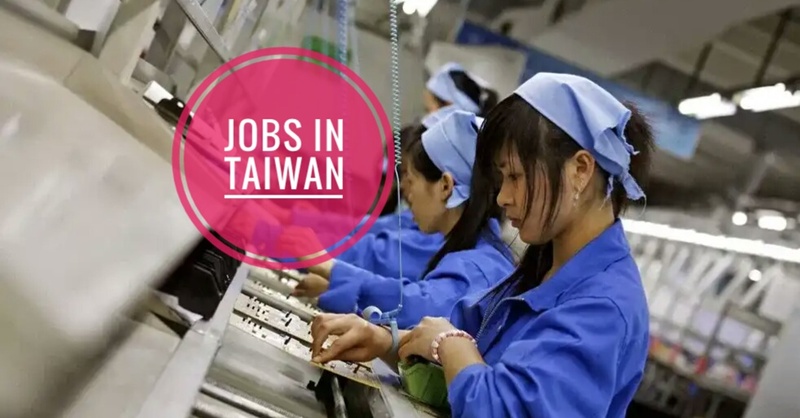 The most common job for OFW either Male or Female in Taiwan is with the Production as a machine operator. Standing for long hours operating an machine needs a lot of endurance.Sometimes 1 machine per person, can go up to 50 machines operated by a single person. Quality inspectors mostly are females examining products and inspects its quality. Spend most of the time using microsopes. Engineers or factory engineers likely supports the Taiwanese engineers. Some engineers also ending up as technicians / maintenance. Encoders records all data from the production line. The least likely are programmers but there are some because every company wants their programs to be handled by Taiwanese themselves to keep it as confidential. Admins staffs works during the office time and the office works or a secretarial job. Only the company itself will decide in which position you will end up. Above are only the main job positions, there are lot more in other industry sectors.